Family Volley: 3-Night Hotel GIVEAWAY in California!!! 3-Night Hotel GIVEAWAY in California!!! What a fun week! I hope you had an opportunity to get to know the creative, awesome, talented and beautiful contributors in the Contributor Q&A Blog Hop! I know I did. I love getting to know people and learning more about what they love to do, what they love to eat, and how they like to fill their time. If you hopped around, I hope you were able to make new friends, find new ideas, and gather new recipes. Everyone loves new recipes! How many times, in your stressful life, have you dreamed about laying out on the beach with a great book? 'Or so she says...' to the rescue! So, to further expand on our favorites, all of the OSSS contributors got together to give away their favorite books, perfect for summer reading! The coolest part is, one person will win EVERY SINGLE ONE OF THEM. That's right, the whole bundle! That's 15 books, yo. Oh, but it gets better. 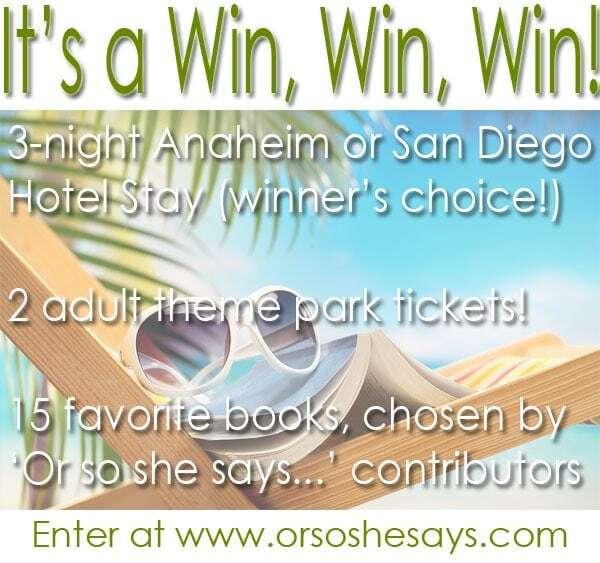 Get Away Today, the greatest travel agency ever and 'Or so she says...' contributor, offered another winner a 3-night hotel stay in Anaheim or San Diego (winner’s choice) with their choice of two adult theme park tickets... PLUS, they get the 15 book bundle too! Grand Prize Winner: 15 'Contributors' Favorite Books' Bundle PLUS a 3-night hotel stay in Anaheim or San Diego (winner’s choice) with their choice of two adult theme park tickets! Vacation courtesy of Get Away Today. Runner Up: 15 'Contributors' Favorite Books' Bundle (details of books below.) Ready to enter? So, all we ask is for you to follow 'Or so she says...' and the contributors on Pinterest. We are all pin-maniacs and know you'll love the great ideas we send your way. 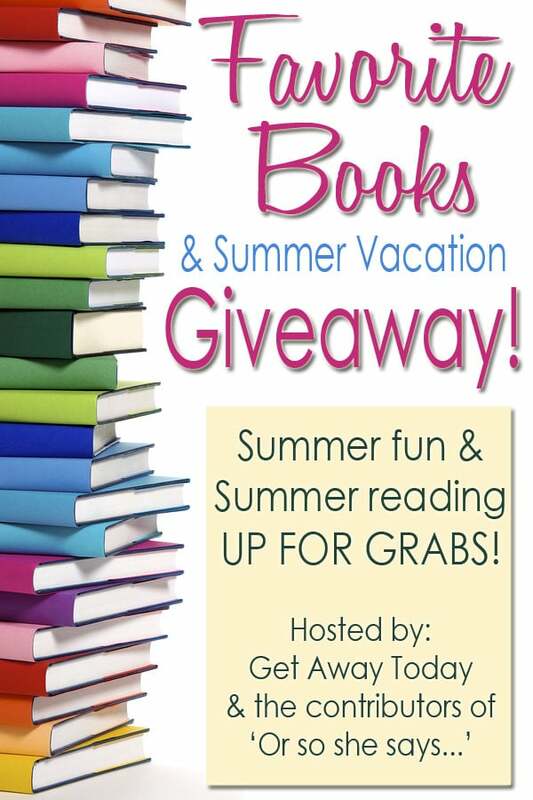 After you enter, be sure to scroll down and check out all the books included in the giveaway. It's so fun to see what each contributor picked as her favorite book! a Rafflecopter giveaway Want to know which books are included in the bundle?? What are the contributors' favorites?? Check 'em out! . 1. 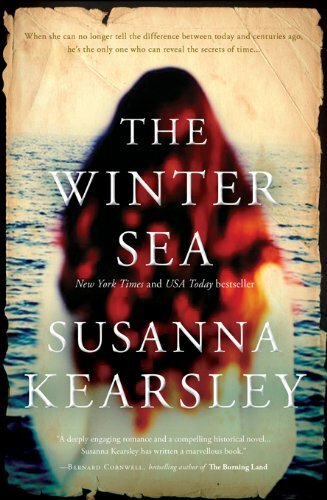 Winter Sea by Susanna Kearsley ~ "This book was not what I expected...it surpassed what I was hoping for. Mystery, romance and intrigue. Great characters and an interesting plot. It was a great read and perfect for summer reading!" Jana of Double the Deliciousness 2. 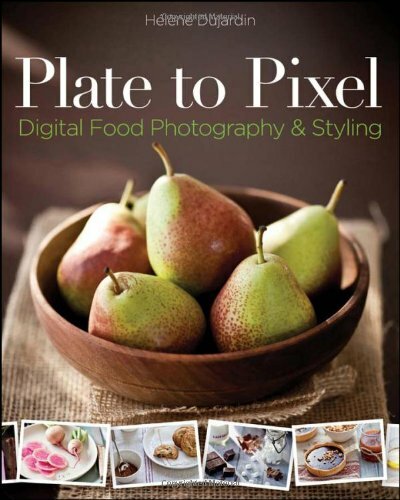 Plate to Pixel by Helene Dujardin - "This book is a favorite because it teaches how to not only how photograph food, but how to do it beautifully!" Gina of Kleinworth and Co. 3. These is My Words by Nancy Turner "While I'm a country/ farm girl at heart, I can't even begin to imagine what the early settlers went through! I love how they worked the land, built their own homes, and made everything from scratch! And I'm always up for a good love story! Jack and Sarah's won't disappoint!" Brooke of Blissful Roots 4. 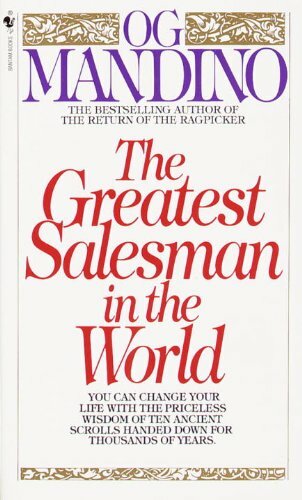 The Greatest Salesman in the World by Og Mandino - "Aw, I love this book! It's a super unique book, in that it's a parable, teaching you how to be a better person, but also an activity book. Each chapter, you read over and over, until you master the character trait. It's a great story with lots of great thoughts. I think I highlighted half the book!" Mariel of 'Or so she says...' 5. 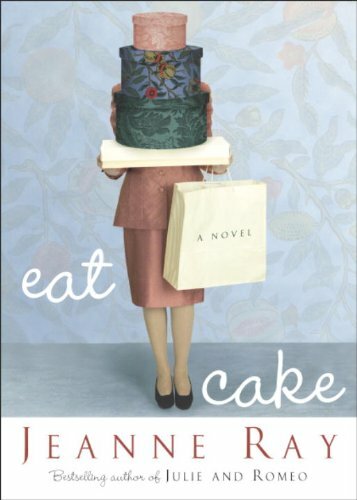 Eat Cake by Jeanne Ray "Eat Cake will make it's way into your list of favorite books, it's a quick and enjoyable read. 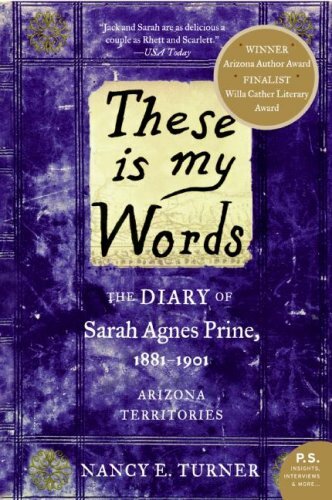 I love this book for more reasons than the fact that the main character shares my name! It'll have you laughing and crying- all at the same time! If you're like me and have a unexplainable urge to bake... you'll totally connect with Eat Cake!" Ruthie of Cooking with Ruthie 6. 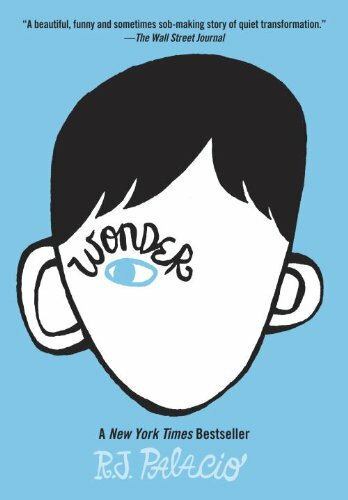 Wonder by RJ Palacio - "My 9-year-old daughter recommended Wonder to me and I enjoyed it just as much as she did. This is a compelling novel that is fun and easy enough for summer, but also intelligent and thought-provoking. Share it with your family when you are finished!" Allison of Tips for Family Trips 7. 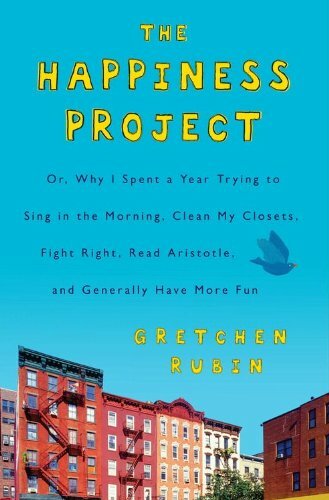 The Happiness Project by Gretchen Rubin - "I love this book because it is getting me to think deeper about what I do to bring happiness upon myself. I am a happy person, but am loving the new outlook and am loving making new goals to make myself really live a happy life." Kiki of Kiki and Company 8. Happier by Tal Ben-Shahar - "It's easy to think that once a certain thing happens, I'll be happy. 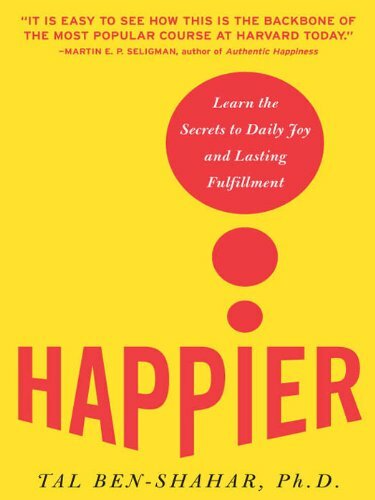 Well, this book provides little life secrets to be happier each and every day. It is applicable for every life stage. It has changed my way of thinking about happiness." Melissa of So Festive! 9. 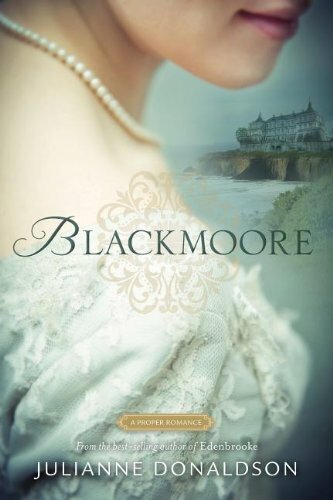 Blackmoore by Julianne Donaldson - "Sometimes a mom just needs a good, quick, easy summer read to distract her from doing more laundry or to keep her busy during swim lessons. If you love a good Jane Austen romance, you will love this book! Set in Jane Austen's English countryside of 1820, this romance will keep you quickly turning the pages as you watch Kate's struggle to learn to follow her heart!" Veronica of Lolly Lu Designs 10. 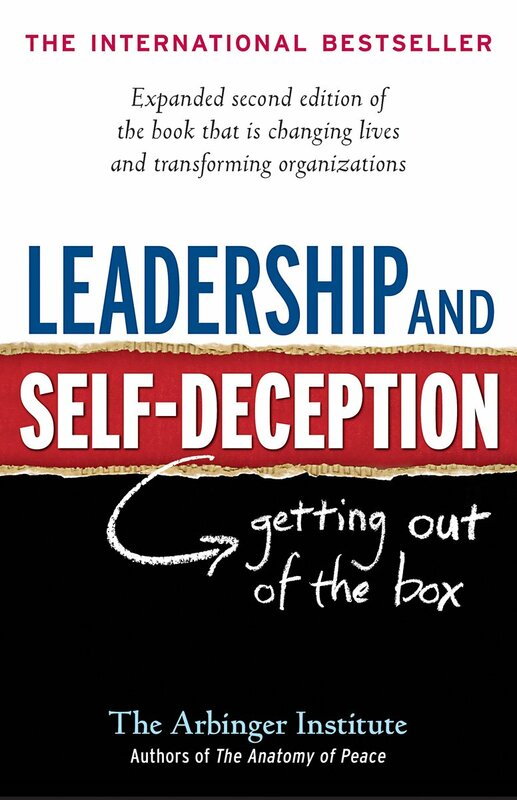 Leadership and Self- Deception - "Do you want to know the secret to having a happy and successful family and marriage? Want to know how to have successful relationships with anyone you come in contact with? Leadership and Self-deception holds the key to mending, strengthening and flourishing in all of your relationships. This book is a life changer- Promise!" Heather of Family Volley 11. 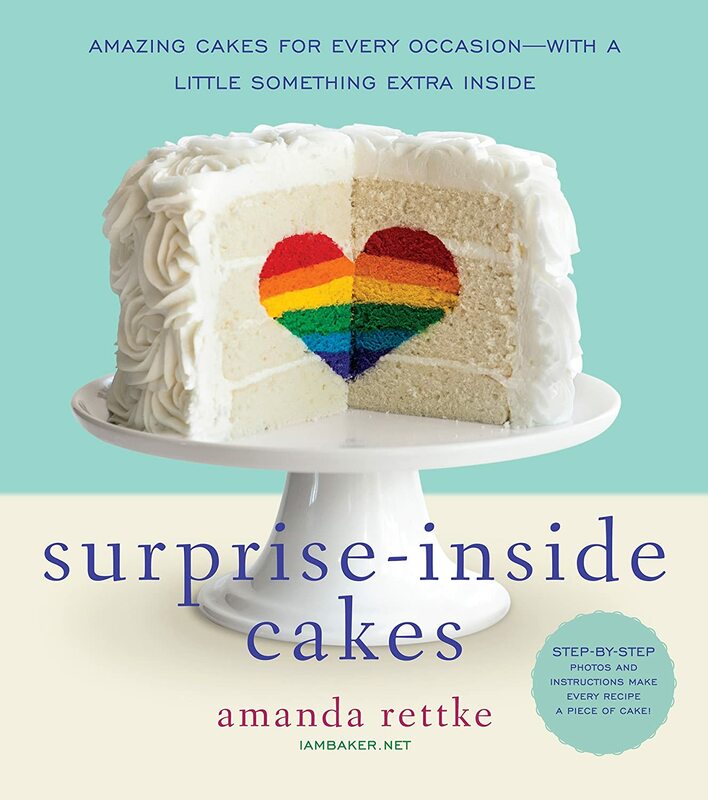 Surprise Inside Cakes by Amanda Rettke - "It's a beautiful book of cakes and it's full of cake decorating tips for the everyday bake. Amazing cakes for every special occasion, all with a little surprise on the inside." Zainab of Blahnik Baker 12. 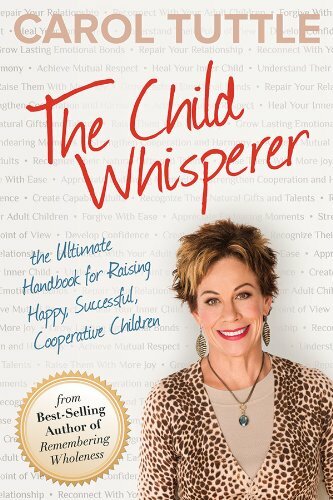 The Child Whisperer by Carol Tuttle - "It taught me how to parent my very determined toddler (at the time) based on her personality type." Amy of The Connection We Share 13. 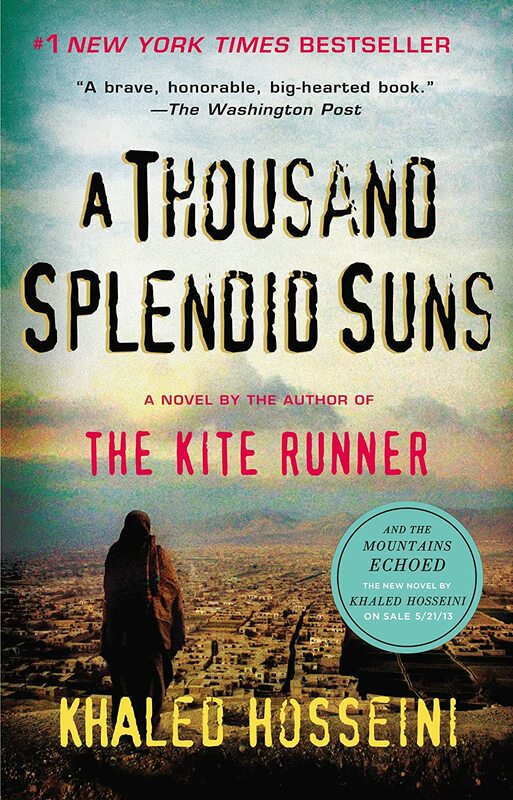 A Thousand Splendid Suns by Khaleo Hosseini - "I read this as part of a book club and it has stuck with me ever since. It is a beautifully written, emotionally gripping story of two Afghan women's suffering, strength, and resilience. What I love most about it is the way it celebrates the strength of the human spirit - a beautiful thing!" Cathy of Lemon Tree Dwelling 14. 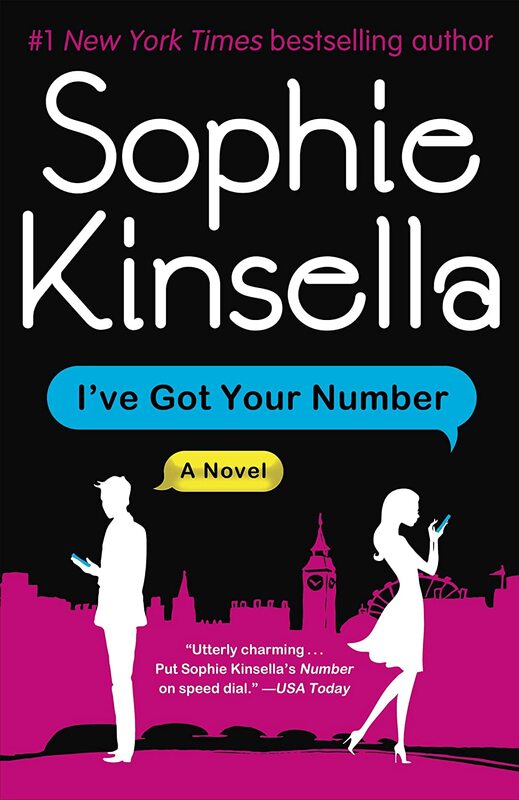 I've Got Your Number by Sophie Kinsella - "A light, charming book by the author of the popular Shopaholic series. This clever romantic comedy makes for a fun and easy summer read, by the pool or on the beach!" Samantha of Five Heart Home 15. 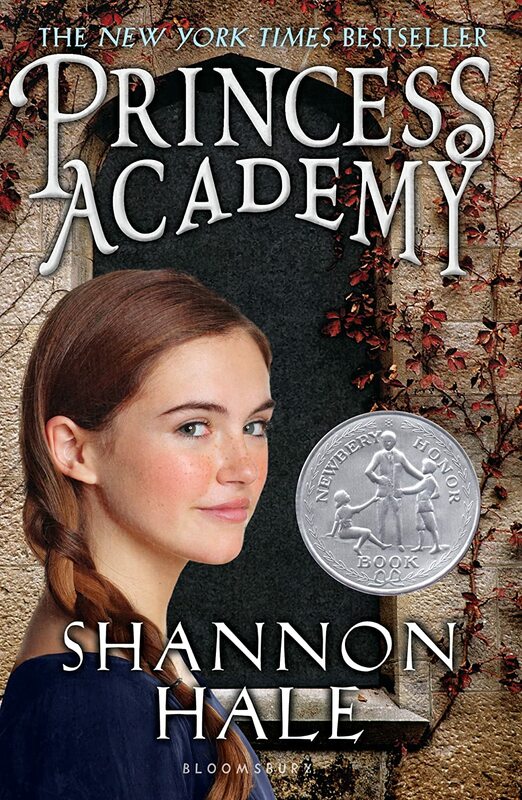 Princess Academy by Shannon Hale - "I loved this simple story that has some fun little twists. My favorite part is that my daughter loved this book as much as I did. I love being able to enjoy the same books as my daughter. This is one that was enjoyable for us both!" Holly of Bits of Everything Longest post of your life? Maybe! But, it's worth it. Good luck to you! Thanks for sharing! I am always looking for a great book to read! I am actually a book worm.. Thanks for sharing this and letting me know about the books. Keep sharing informative article like this. Escape Today has helped more than 2 million individuals appreciate excursions to Disneyland and past. Practically like enchantment, they have turned out to be one of the world's driving suppliers of Disney get-aways, family get-aways, rebate get-away bundles, and experience get-aways. I for one utilize Get Away Today at whatever point I am reserving an excursion since they offer the best rates and client benefit around! Whether you are searching for a brisk end of the week getaway or fourteen days from home, Get Away Today has the ideal goal for you! I don't need to give any explanations for the math game as all of us might have played this game during our childhood . But playing math game in our time was not that fun and interesting and as the time advances there is so many math game you can find on the internet too which is such an amazing thing for all of us . Playing cool math game is now a real fun thing as the more you are gonna enjoy this games more you can help your mind in boosting in a great way . So you can check this site if you wanna hit those fun and wonderful math games like algebra , math sums , lessons, puzzles and blog games .